Delicate raised 3d rosette necklace with a turquoise coloured bead. 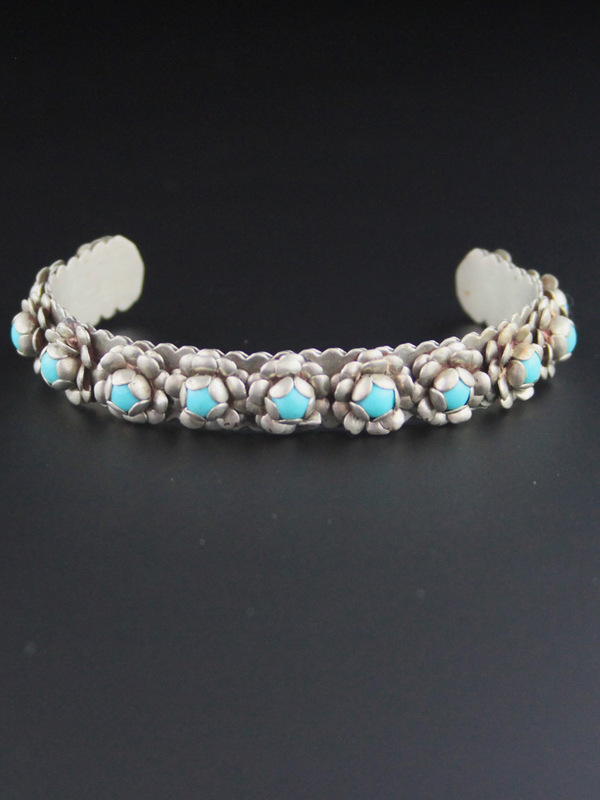 Simple cuff with little rosettes with sweet 1950's piece of Mexican jewellery. 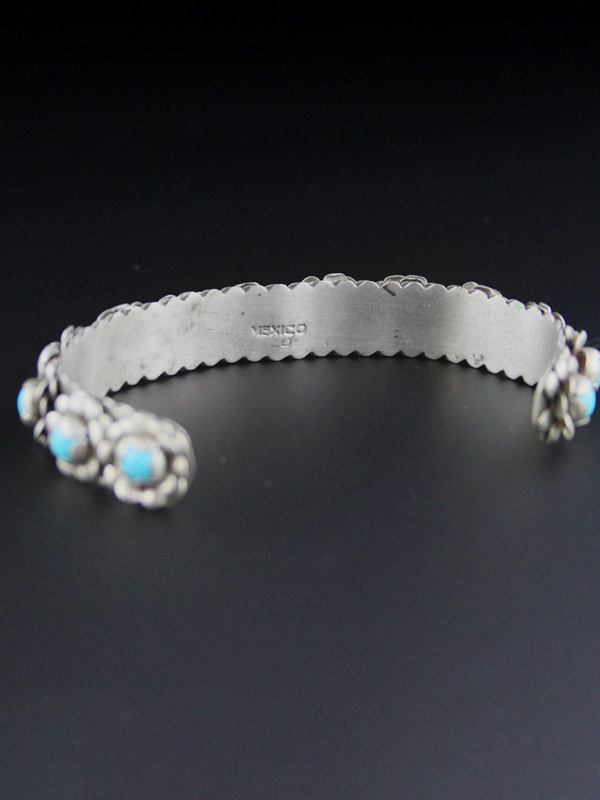 Alpaca is the common name for a metal alloy that contains a combination of metals - usually copper and nickel (sometimes zinc, tin or cadmium), sometimes referred to a Mexican Silver or Nickel Silver. The most common formulation is 60% copper, 20% nickel and 20% zinc.